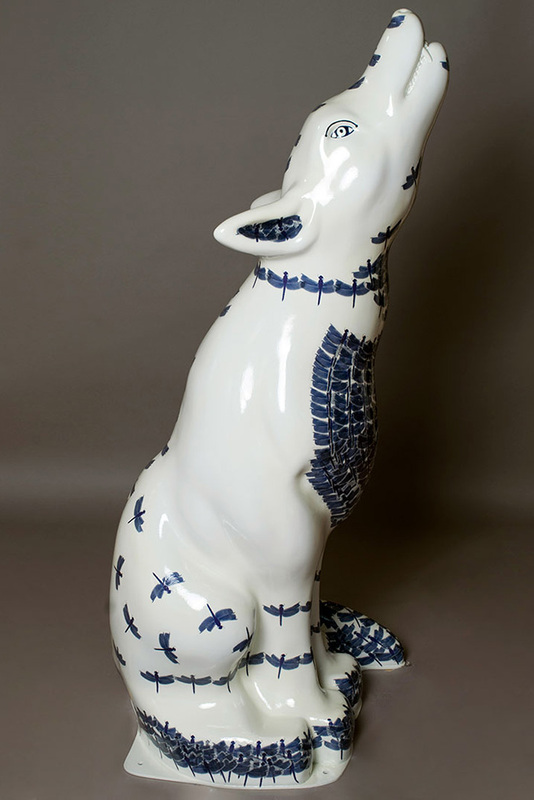 Laura and Kesia’s wolf is based on ancient blue and white oriental Foo Guardian dogs symbolising protection, status and prosperity, which we welcome to our city. 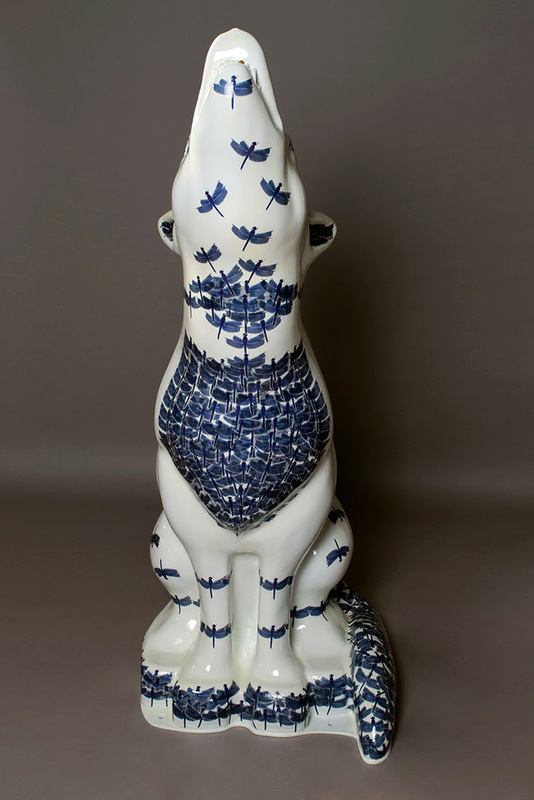 A Ming Dynasty blue and white pot found at Staffordshire University sold for millions last year, and the remainder of the collection is stored in a secret location in Wolverhampton. 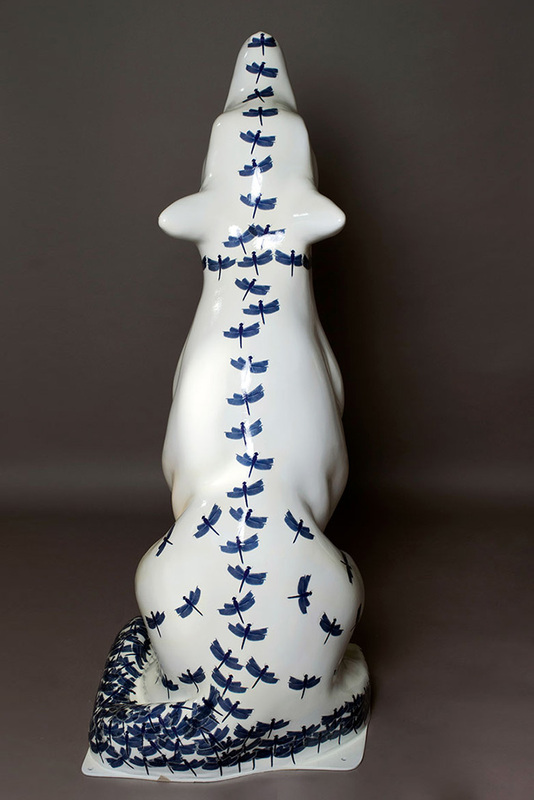 Using decoupage to transform the wolf with a blue and white design, 1840s cyanotype printing was used for Laura’s dragonfly image. The dragonfly symbolising regeneration and new life, as the Mander Centre and Wolverhampton City Centre is renovated and regenerated. Prosperity, protection and status for Wolverhampton.